Obituary for Margaret M. Cohen | Arthur F. White Funeral Home, Inc.
Cohen, Margaret M., 89, of Bethpage, on February 1, 2019. Beloved wife of the late Wesley. Loving mother of Nadine Zeitinger, Bradley and Wayne. 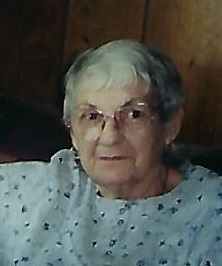 Cherished grandmother of Kimberly, Brian, Sean and Justin. Adored great grandmother of Deeanna. Visitation Tuesday, February 5th, 2-4 and 7-9 pm at Arthur F. White Funeral Home, Inc., Bethpage. Funeral Service at the funeral home Tuesday 8pm. Family and Friends gathering at the funeral home Wednesday, February 6th, 10 am. Interment following at St. Charles Cemetery.